In this book, historical narratives chart how people created forms of agriculture in the highlands of New Guinea and how these practices were transformed through time. The intention is twofold: to clearly establish New Guinea as a region of early agricultural development and plant domestication; and, to develop a contingent, practice-based interpretation of early agriculture that has broader application to other regions of the world. The multi-disciplinary record from the highlands has the potential to challenge and change long held assumptions regarding early agriculture globally, which are usually based on domestication. Early agriculture in the highlands is charted by an exposition of the practices of plant exploitation and cultivation. Practices are ontologically prior because they ultimately produce the phenotypic and genotypic changes in plant species characterised as domestication, as well as the social and environmental transformations associated with agriculture. They are also methodologically prior because they emplace plants in specific historico-geographic contexts. Why is early agriculture in New Guinea contentious? The conditions of growth: A post-processual turn? A gap, patch or plot on the wetland margin? Is there a neolithic signature? Is New Guinea unique within the Asia-Pacific region? 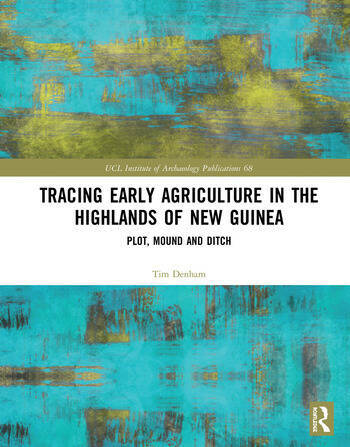 Dr Tim Denham is Reader/Associate Professor of Archaeology at the Australian National University. He has undertaken fieldwork in Papua New Guinea, mostly in the highland interior, since 1990. His primary research has focussed on plant exploitation and the emergence of agriculture in the highlands during the Holocene. He has also published on the Holocene histories of Island Southeast Asia and northern Australia. Over the last decade, his interests have diversified to include: the domestication of vegetatively propagated crops, especially bananas; geoarchaeology and environmental change, mainly in the wet tropics; and, the application of new technologies to archaeological questions.